How do you write a lesson plan? How do you know how long things will take in rehearsal? Is it best to start with something new or something familiar? What do you do when they stop paying attention? These are some of the questions I had in my first years of teaching and I'm sure they resonate with many of you, as well. The answers to these questions really depend on what kind of teacher or director you are or want to be and what kind of group you're working with. After a few years of working with children's choirs, I found a quick pace with lots of music and related activities seems to keep everyone's attention while still working toward my learning goals for the ensemble. Chant rhythm of “Row, Row, Row Your Boat” using consonants. Perform with and without rhythm instruments. See more rhythm games and activities here and here. Sing warm-ups ranging from around D above Middle C on the low end to around F above Treble C on the high end. Sing without accompaniment. Sing "All Things Bright and Beautiful" - vs. 1 and Chorus, with accompaniment. Discuss verse/chorus form using some sort of visual (a poster of the text or a printed copy of the music). Read a short opening prayer together. See some of my favorite choir prayers here. Introduce The Lord is My Shepherd (Moore). Discuss the meaning of the title and text: What does a shepherd do? How is God our shepherd? Teach the first verse phrase-by-phrase, with music, without accompaniment. Take a minute to do something fun or silly - a movement activity, singing game, silly song, clapping game, or tongue twister like "Betty Botter bought some butter..."
Here are a few more ideas for singing games, musical games, and clapping games. Review a more familiar song, "I love the Mountains." Sing once without words (neutral syllable: doo), music, and accompaniment. Sing again with words (by rote), without accompaniment. Read a short closing prayer together or offer a few words of thanks and praise to close rehearsal. Remind singers about anything important coming up (e.g. "We're singing on Sunday! Remember to meet in the sanctuary at 9:15 a.m."). 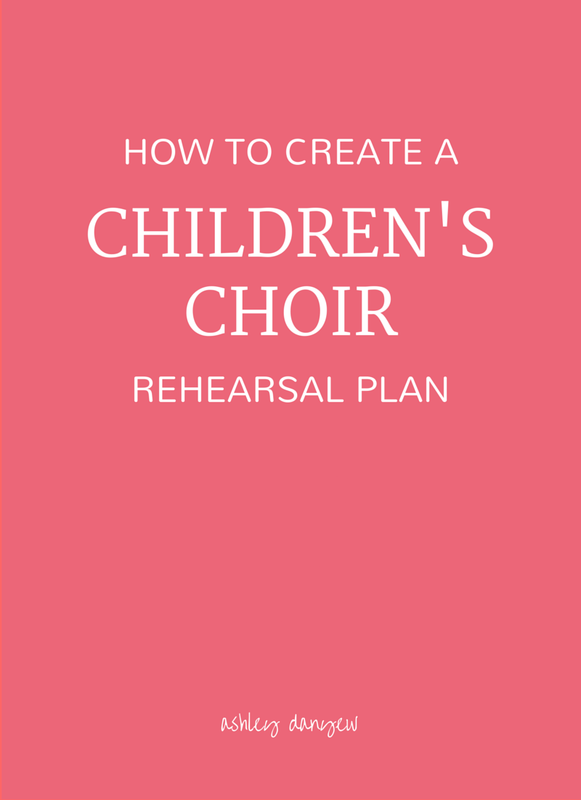 How do you plan your children’s choir rehearsals? What’s your choir's favorite part? I'd love to hear! Be sure to check out the Planning Kit for Children’s Choir Directors: a 22-page collection of printables, templates, and worksheets to save time and help you do your best work.